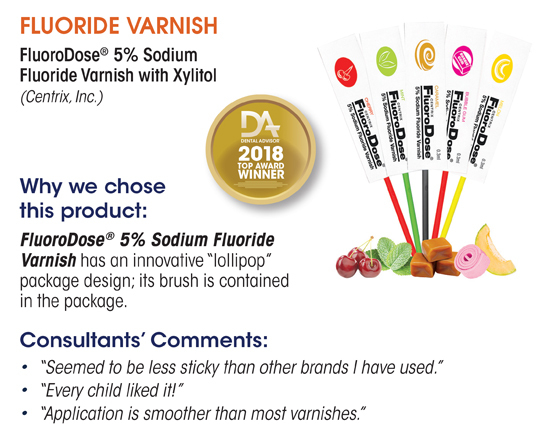 FluoroDose is the top Fluoride Varnish of 2015, 2016, 2017, 2018 and 2019, according to The Dental Advisor. 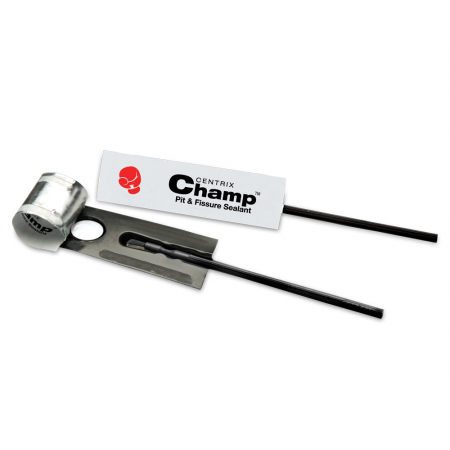 Clinicians love that it is smooth, not stringy or clumpy, so it reduces the chance of clogging vacuum lines. Patients love that it stays clear so there is no tooth discoloration. FluoroDose dries in seconds upon contact with saliva and remains on the tooth for 6 to 8 hours for optimum fluoride uptake. 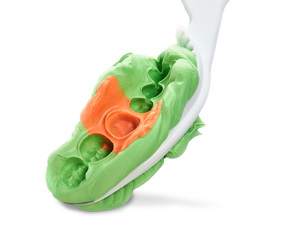 FluoroDose is FDA-cleared for treating dentinal sensitivity. FluoroDose contains 5% sodium fluoride, the maximum dosage allowed in a convenient single-use LolliPack®. 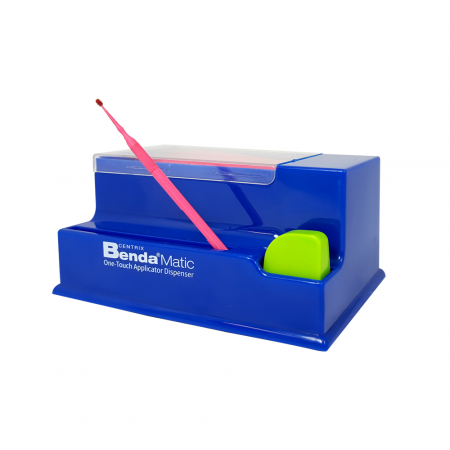 Each unit contains one single dose (0.3mL) of FluoroDose plus one Benda® Brush applicator. Simply peel back the cover, dip in the brush, mix and apply. Centrix makes fluoride varnish safer and cleanup easier. Centrix makes asepsis and post-procedural cleanup easier. No more messy gels and uncomfortable trays; no more inherent worry of fluoride ingestion. FluoroDose is lactose free, gluten free and nut free. The product is free of all dairy, egg, gluten, soy, peanut, tree nuts, tree nut derivatives, fish/shellfish and seed products. FluoroDose contains rosin, beeswax and red dye 40. Although there are no allergens present in the product itself, the above allergens may be present in the same facility and/or manufacturing equipment used to produce the raw materials and/or finished product. 1. There are several studies on the ADA website explaining the uses of fluoride varnishes, visit: http://www.ada.org. Great preventive dentistry helps patients maintain great oral health throughout their lifetime. Use this questionnaire to determine if your patients are at risk. 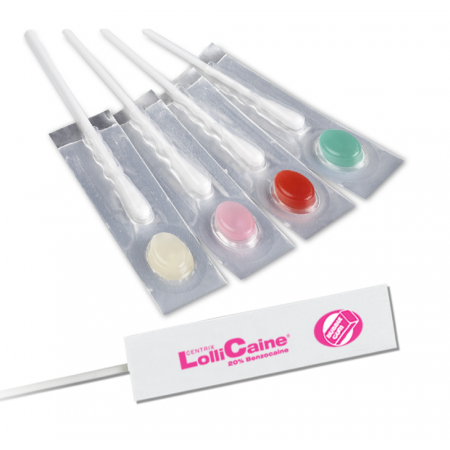 A 5% sodium fluoride, white cavity varnish in the single-use LolliPack® package. Dip. Mix. Brush. Throw away. Centrix makes fluoride varnish safer and cleanup easier. At what age should FluoroDose varnish be used on children? FluoroDose varnish is safe and can be applied on babies from the time they have their first tooth. FluoroDose is painted onto teeth and only a very small amount is used, almost no fluoride is swallowed. Why would I use FluoroDose on adults? FluoroDose varnish is routinely applied on children after cleaning but many adults benefit from fluoride treatment as much as children do. Adults benefit from fluoride varnish treatment if they show any of the following but not limited to frequent decay, gum recession, sensitive teeth, xerostomia, cariogenic bacteria, plaque buildup etc. How often can FluoroDose varnish be applied? FluoroDose varnish can be applied 4 times a year or every 3 months. What is the sweetener(s) in FluoroDose? Does FluoroDose varnish have any allergen risk? FluoroDose is free of all dairy, egg, gluten, soy, peanut, tree nuts, tree nut derivatives, fish/shellfish and seed products. FluoroDose contains rosin, beeswax and red dye 40. Clean teeth and remove excess moisture from area to be treated. Grip the foil cover and slowly peel back, exposing the brush applicator and varnish well. Remove applicator brush and stir material in well. Paint a thin film of varnish onto treatment area. Let the varnish dry for approximately 10 seconds and then instruct the patient to close their mouth. Dispose package and applicator after use. Patient may leave immediately after treatment. Patient should be advised to remain on a soft food diet and only drink cold liquids for two hours after treatment; and not to brush for a minimum of 4 to 6 hrs. When dry, any excess varnish may appear ‚"spotty" and may slide off the tooth surface. This will not affect the efficacy of the product, as there is still a full layer of varnish on the tooth. Do not apply when other fluoride treatments (gels or foams) are to be done on the same day. The use of fluoride tablets and rinses should be interrupted for several days after initial treatment. Edematous swellings have been reported in rare instances, especially after application to extensive surfaces. Dyspnea, although extremely rare, has occurred in asthmatic patients. Patients with sensitive stomachs have reported nausea on occasion. Varnish may easily be removed through tooth brushing and rinsing. 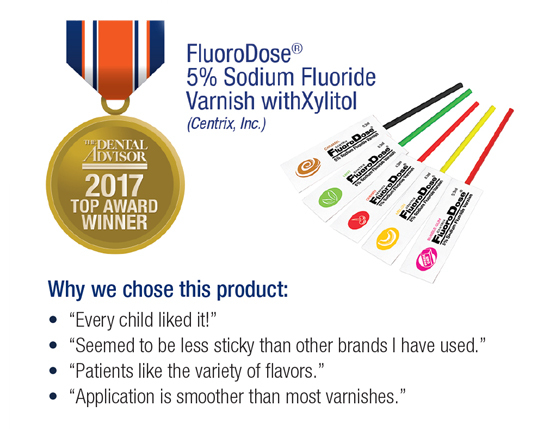 Centrix FluoroDose, the Best Fluoride Varnish, announces new Caramel Flavor!